The 2017 St. Germain town road weight limits will be lifted Monday morning, April 17 with removal of the weight limit signs. The Town Board appreciates all who helped protect our roads during the spring thaw. 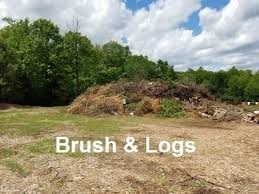 The Yard Waste Compost Site (aka Town Stump Dump) is now open and will remain so through at least Memorial Day. For more information visit the Garbage, Recyclables and Yard Waste page of the town website. Please be reminded of the annual spring Town Elector's Meeting on Tuesday, April 18, 7:00pm at the Community Center. To see more about the statutory powers of the registered voters at this event visit the Elector Meetings page of the town website. The April 1st workshop with Design Funktion Studio, the consultant leading the town through its evaluation and future plans development for the Community Center and Red Brick schoolhouse, was attended by about 20 people. The information discussed was very informative and helpful in preparing for the next steps in the process. More about the workshop and the schedule of upcoming project events can be viewed on the Red Brick Schoolhouse - Community Center Study page of the town website. Use the "Unsubscribe" button below to remove your address from this mailing list. Use the on-line sign-up form on the Community Outreach Messages page of the town website to add an address to this mailing list, or simply request the addition by replying to this message and provide you first and last name and e-mail address.